Redditch is at the centre of the Motorway network, only a few minutes away from the M42/M40 and M5/M6 giving easy access from anywhere in the United Kingdom. Located within the beautiful countryside of North Worcestershire, Redditch has, within its boundaries, much to see for those interested in our landscape and history. It is very easy to move around the area with an excellent local bus service with links to Birmingham, Worcester, Bromsgrove, Evesham, Stratford and Solihull and a cross city railway line passing through Birmingham New Street station with trains every 20 minutes. 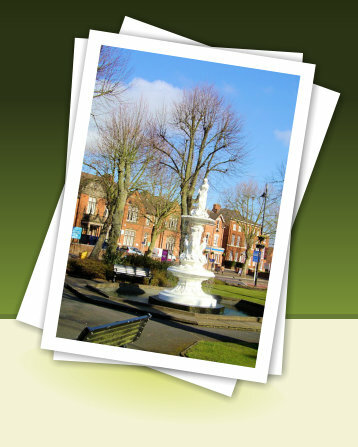 A visit to the town is not complete without a walk around our attractive Church Green. A part pedestrianised zone surrounded by attractive 19th Century buildings, it includes the imposing St Stephens Church, built in 1855, and contains our historic town fountain, built in 1883, and bandstand, built in 1898. From late Spring to early Autumn the bandstand is a venue for many local events. Along Church Green West is the former Scientific and Literary Institute built in 1885 and a range of buildings which are the former Smallwood Hospital built in 1894. Within the town centre is the Palace Theatre, has a wide range of entertainment throughout the year. The Kingfisher Centre replaced most of the existing town shops with new shops accesses from covered, air-conditioned malls and when it was opened in the 1970s, was one of the Midland’s largest covered shopping centres. Since that date it has steadily expanded providing a wide range of modern shops and services. It is in the heart of Redditch town centre, within a ring road which circles the town centre with four large car parks with covered access to the centre. The modern Kingfisher Centre is not just a shopping destination. There are the famous mosaics designed by Eduardo Paolozzi, possibly one of the best examples of public art in the region and the “Hub’ with restaurants, a multi-screen screen cinema and a gym. Within the town centre is the Palace Theatre, which has a wide range of entertainment throughout the year. The theatre first opened its doors in August 1913, a comparative latecomer in the wave of new theatre building in which public demand for entertainment had been finding expression since the beginning of the century. Threatened with closure on many occasions, it was bought by the Redditch Development Corporation in 1967 and, after significant refurbishment, it was handed it over to Redditch Urban District Council and re-opened on September 11th, 1971. After some changes of management, the Redditch Borough Council took over the management and running of the building in 1985 and since then has continued a tradition of providing a wide mix of entertainment to please every palate. Forge Mill Needle Museum in Redditch is an unusual and fascinating place to visit. This historic site illustrates the rich heritage of the needle and fishing tackle industries. Models and recreated scenes provide a vivid illustration of how needles were once made, and how Redditch once produced 90% of the world's needles. On the same site, just a very short walk from Forge Mill Museum, are the ruins of Bordesley Abbey - a medieval Cistercian Abbey which has been extensively excavated. Bordesley Abbey Visitor Centre, which is set in an original reconstructed 16th century barn, tells the extraordinary story of the Abbey from its development in the 12th century to its destruction in 1538 by Henry VIII during the dissolution. The Arrow Valley was created during the last ice age around 12,000 years ago. In the 12th Century, Cistercian monks built Bordesley Abbey which is illustrated at the Bordesley Abbey Visitor Centre. 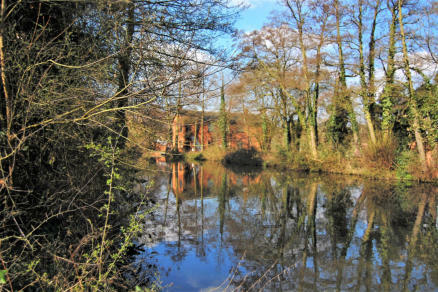 Needle manufacture in the Redditch area relied on the water power provided by the River Arrow, and it required a water mills for scouring (cleaning) the needles. The most important of these is at the National Needle Museum at Forge Mill which was opened by Queen Elizabeth II in 1983. 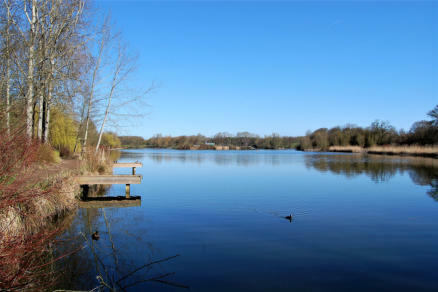 The concluding chapter was the designation of Redditch as a ‘New Town’ in 1964 and the Arrow Valley Park was created, with its attractive lake, which provided a ‘green corridor’ passing through the town. In 1138 the Cistercian Order were granted a charter for an abbey at Bordesley in the Arrow valley. They required empty, remote and uncultivated places and it was necessary to clear the area of inhabitants who were relocated at the present town centre. The name Redditch comes from the Red Dyches which were dug to drain the area in the Red Marl (clay) which is endemic to the area. The abbey prospered for four hundred of year until dissolved by King Henry VIII in 1538. With the introduction of needle manufacture, the population continued to grow, and Redditch then began to take the shape we now know. In 1964 Redditch was designated as a new town and, since that time, the population has increased from 32,000 to over 80,000 but the ‘old’ Redditch still remains.